Present your tickets for the Cumbres & Toltec Scenic Railroad and receive 5% off of a one night stay or 15% off of a two night stay. Discount is taken off of standard rates and can not be combined with other offers. This discount is only offered for reservations made directly from the Branding Iron website or by calling our front desk. This discount is not valid if made through any other reservation source. Located 8 miles south of Chama, and 8 miles east on State Road 512, Brazos Lodge and Rentals is nestled against the majestic Brazos Cliffs. 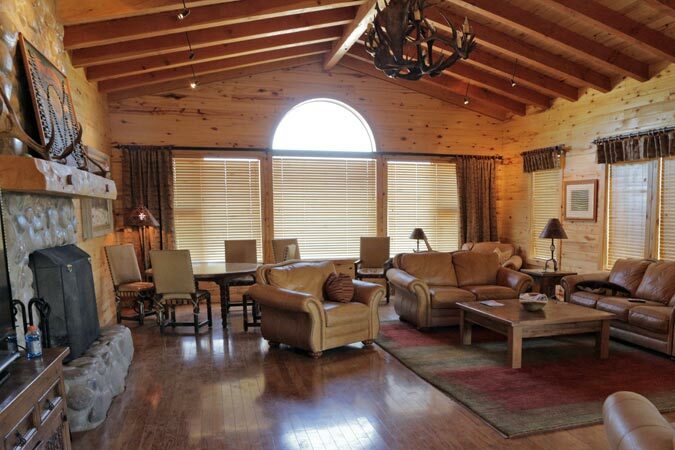 Our mountain lodge is small, quiet and relaxing. 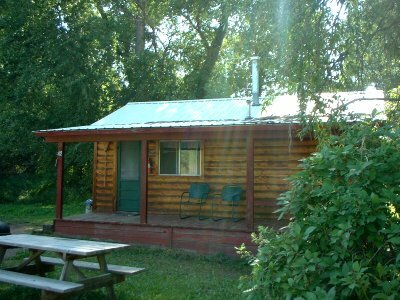 We offer a variety of rental options from cabins to condos. Unplug your device and forget the hectic city life. Enjoy fishing, feeding the deer, or a long walk in the cool pines. Come for the views, stay for the memories. 1 block from the Railroad Depot in Chama, NM. Homemade apple pie. 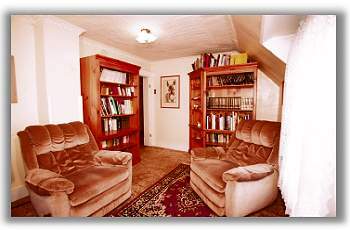 Luxurious comfort in a country home bed & breakfast. Full gourmet breakfasts. Relax on our old-fashioned front porch watching wild birds in the country garden. Railfan and Artist Operated. 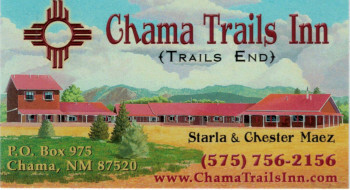 Come enjoy a friendly and comfortable stay here with us at the Chama River Bend Lodge. We offer great service and friendly smiles. Our property offers both comfortable rooms and cozy cabins with the Chama River just steps away. 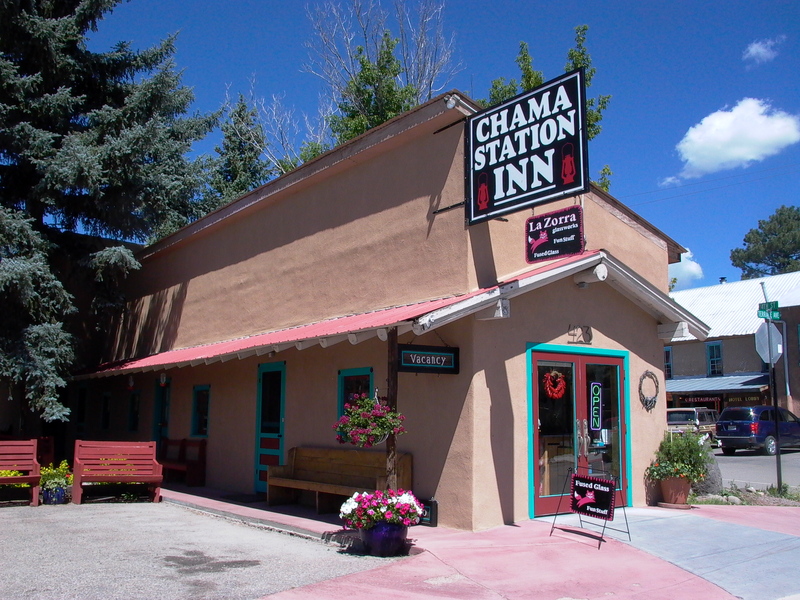 Come and enjoy a comfortable stay with us in our charming Inn, located directly across from the Cumbres & Toltec Scenic Railroad Depot in historic downtown Chama, New Mexico. You will find friendly staff, reasonable rates and unhurried ambiance. Each of the nine individually decorated rooms have private baths, free wireless internet & TV, plus access to the flower garden and patio. 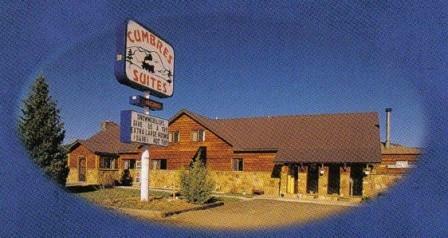 Located 1 mile south of the Cumbres & Toltec Scenic Railroad and walking distance to all of Chama’s restaurants, the Cumbres Suites offers large, spacious rooms with wifi, coffeemakers, mini fridges and a free deluxe continental breakfast! Enjoy one of our delightful suites overlooking the Cumbres & Toltec Scenic Railroad yard, as well as beautiful vistas of the Southern Rocky Mountains. Conveniently located in downtown Chama, our suites are tastefully appointed, and include a 42” flat screen HDTV, Bluetooth CD & iPod player, refrigerator, Keurig Coffee System and free wifi. Enjoy the complimentary snacks & drinks provided in your suite, as well as breakfast at the establishment of your choice. Don’t forget shopping downstairs in our multi-faceted gift shop! Please note we are an ADULTS ONLY property. Elkhorn lodge is located on the Chama River, two miles south of the Cumbres-Toltec Scenic Railroad station. Military and Senior Discounts available. This is a pet friendly establishment; you must board your pet while riding the train. Call 575-756-2105 for more information and to make reservations. We look forward to your visit. 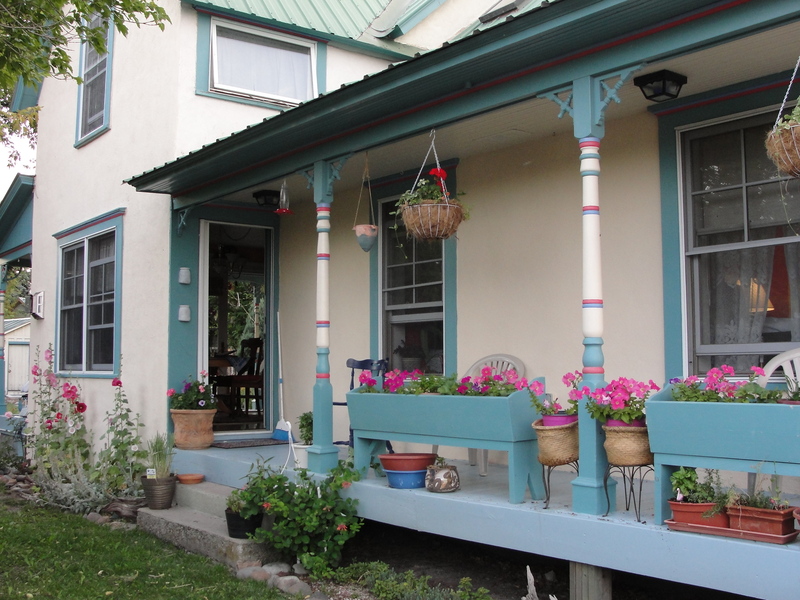 Encanto B&B is located at 277 Maple Avenue, just one block west of the Cumbres & Toltec Scenic Railroad’s Chama depot. 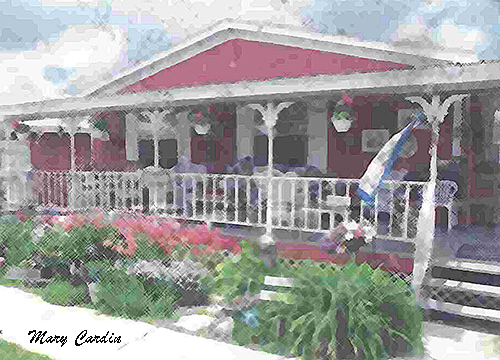 Encanto B&B features 5 guest rooms, each with private bath, and great ambiance.Serving a Deluxe hot breakfast every morning. 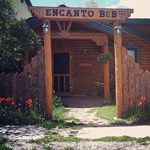 Enchantment awaits at Encanto B&B! 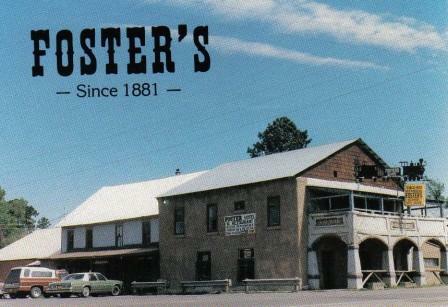 Fosters Hotel, Restaurant, and Saloon has been in business since 1881. Opens at 6:00am – closes at 10:00pm. 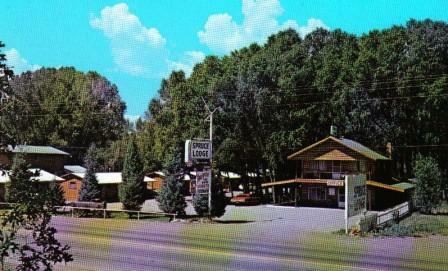 Located on the corner of 4th and Terrace in Chama, NM. We have an amazing menu, daily specials, a salad bar, fresh homemade soup each day, and fresh homemade pies. Conference hall available for wedding parties, benefit dances, and more — size is 50ft by 50ft. Showers also available for $5.00. Hotel rooms are available check with reservations on booking. Call 575-756-2296 or Fax 575-756-2775. Our Saloon and Bar opens at 10:00AM and closes at 2:00AM (if not busy, closes at 12:00AM). Come and enjoy a cold beer or mixed drink in our bar. Seating is available on the front porch with a beautiful view of the Cumbres & Toltec Scenic Railroad train yard. 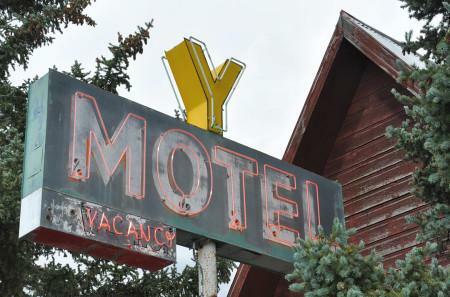 The Hotel was built in the 1930’s and retains the atmosphere of the time. Reasonable rates and guest discounts in our gift shops. Large selection of railroad memorabilia! Charming rooms are located in a restored historic building just 1/2 block of the Cumbres & Toltec Scenic Railroad. Queens, Doubles, Twins, private baths w/jetted tubs, covered porches, gardens, labyrinth, WiFi, Dish TV and breakfast is individually prepared. No Smoking, No Pets, Visa/MC accepted. Call ahead for children. Train riders (with tickets) receive a 10% discount off the regular prices, ranging from $105-$135/night (plus tax). Little Creel RV Park & Cabins–8000 feet above stress level! 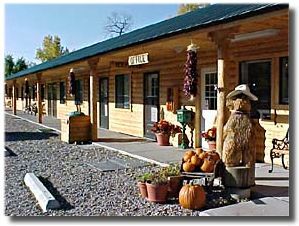 We are located 2 miles south of the Cumbres & Toltec Scenic Railroad, on the banks of the Chama River. Available are over 60 beautiful 30amp or 50amp RV hookups, 20 rustic, but well-equipped cabins, tent spaces, a rec hall, laundry and acres of fun and relaxation! We will offer a 10% discount on the second night for our train-riding guests. Stay 4 days or more and get 10% off! 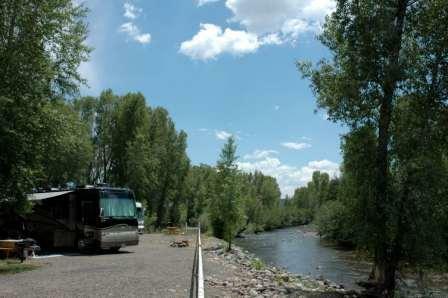 Rio Chama RV Park is located in Chama, New Mexico, nestled in a grove of trees alongside the Chama River. A historic railroad theme prevails throughout the park. With acres of beautiful rural setting, there’s sure to be a site just right for you. 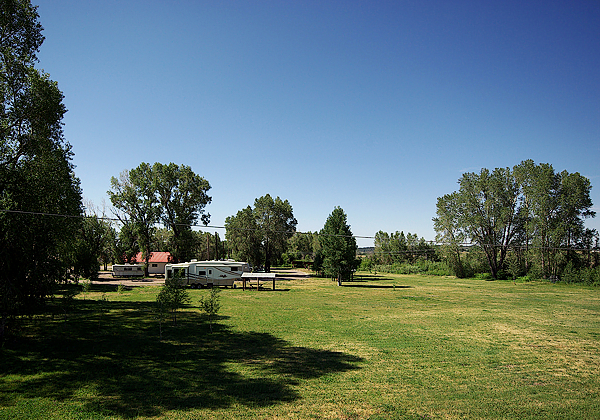 Each spacious RV site contains picnic tables, and fire rings with a grassy area along side. Numerous BBQ grills are available. Our pull-through sites will accommodate big rigs with 50 amp and we have several types of other accommodations for you to select from. We provide pull-through, back in and head in sites with full connections and 30 or 50 amp service as well as simple electric and water short-term sites. We also host a comfortable walk-in tenting area with lush grass and plenty of shade. 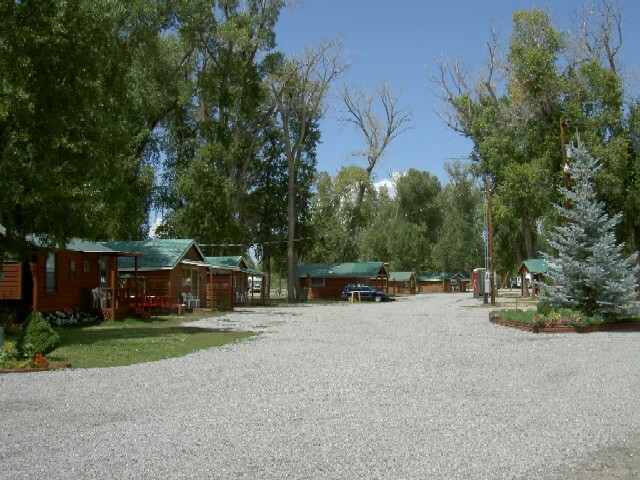 Sky Mountain Resort RV Park is nestled in the quaint Village of Chama, New Mexico. We feature camping alongside the Rio Chama river with full hookups (50/30/20 electric, water and sewer), free WiFi, picnic tables and fire rings. We are “Big Rig friendly” with spacious sites to accommodate today’s larger rigs and slideouts. Guests can enjoy BBQ grills in 12 common areas of the park and two horseshoe pits. 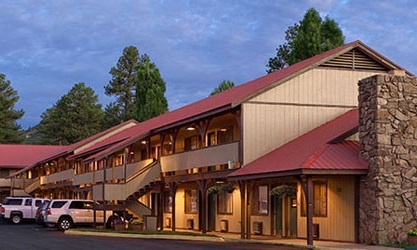 We have an immaculate infloor-heated bathhouse and Maytag laundry facility. We also offer a small and large dog pet park. All train riders will receive 10% off the daily rate. We are open May 15 through October 15, Sunday through Saturday, 9-6 pm. Enjoy our beautiful, AAA-approved property, featuring a delightful coffee bar in our lobby! 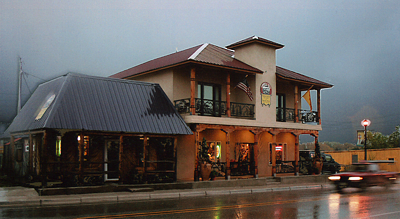 We are located on the banks of the Chama River, a short 2 mile drive to the Cumbres & Toltec Scenic Railroad yard. AAA, AARP and military discounts available. Or, give us a call at 800-939-9943.